Theme: Voluntary work for Palestinian Youth and Social and Cultural interaction. Open to: Everyone interested from all over the world. Costs: 450$ including Food, Accommodation, Picking up from the airport, Transportation, trips and Health Insurance. Venue: An-Najah National University - Nablus - Palestine. Age: 18 - 80 Years old. Want to improve your awareness of the Palestine Question and engage culturally and socially with Palestinian daily life? Then apply for this work camp and spend an unforgettable two weeks in one of the most holy lands in the world. The two weeks long cultural programme will shed light on the Palestinian experience. An-Najah National University in Nablus-Palestine invites people from across the world to explore this opportunity. We offer the opportunity for international volunteers to volunteer for our students for two weeks. 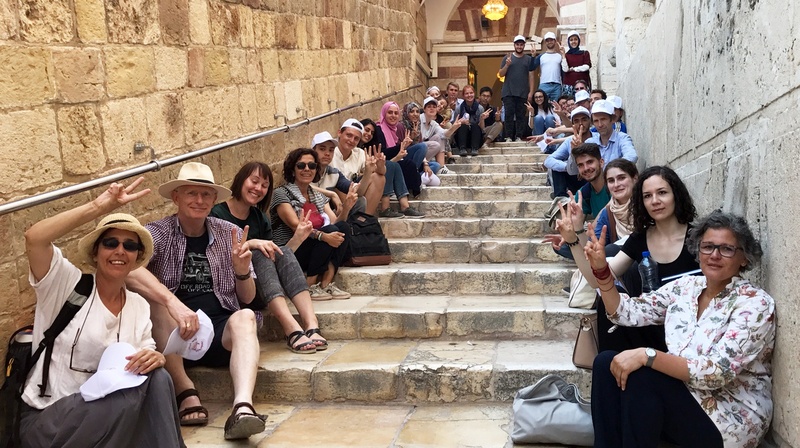 You will also have the unique opportunity to travel across Palestine, visit sites of historical importance and engage with traditional Palestinian culture, accompanied by local volunteers. Through international voluntary work and skill sharing, it is possible to help empower young Palestinians to create a better reality for themselves. Many international volunteers have good qualifications and skills to share with our local students, as well as, a willingness to provide assistance to our students who will attend the training workshops offered by the international volunteers. The daily voluntary work lasts for 2-4 hours. The international volunteers will give different training workshops, which is optional and not a must. The workshops are varying; such as Public Speaking, English Conversation, Debating Skills, Communication Skills, Capacity/ Competency Building, Social Media, Film Production and Editing, etc. However, if you believe you have something different to offer for the students then you are always welcome to bring your own workshop ideas to the table. Training workshops will take place from Sunday to Thursday from 14:00 - 18:00. (Optional).